Advice for parents: Any help for a child in Mathematics is better than nothing. However, programs without voice instruction are no better than a textbook and programs without written worksheets are even less helpful. The student can click on anything at anytime which can cause lack of confidence, focus and sense of achievement. Most have none and some have a limited number (10-15%) of lessons with audio instruction.Some claim to have ‘lessons�Ethat are no more than exercises with a written text example. As well as interactivity. Some do, some don’t. Be sure to check, as these are essential. Usually Very Few. Most don't include written work sheets as part of their learning strategies. 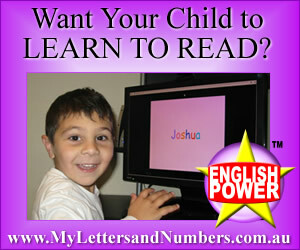 Interactive-only means the child is prompted and not doing it by themselves. Ask your teacher about the importance of written work to maximise learning. Your child needs to do written working out in exams. Most only cover between 20%-50% of the various state syllabi. Method of marketing Customer initiated enquiry, Word-of-mouth, Confidential phone and internet response only. Download times could be time-consuming. Centre or In-home appointments and assessments. Full term or full year commitment required. Sold via In-home presentation or assessment, generally by commission only sales people. Refined sales techniques are used to talk parents into spending thousands of dollars on over-priced programs. Subscription period only. You do not get to own and keep program for future reference. Ask about specific pricing prior to agreeing to appointment. Interest-free over 5 months. Longer terms available if needed. Some do, some don’t. Not all. Warning: Be wary of maths companies that do not display prices and working samples on their web sites. Back to the Future Education is an Australian Government Endorsed Supplier.